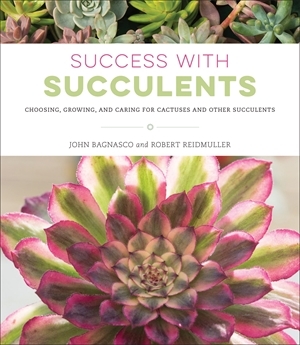 Success with Succulents: Choosing, Growing, and Caring for Cactuses and Other Succulents is a 2017 book from John Bagnasco and Bob Reidmuller. Bagnasco has worked in the gardening industry for more than 45 years, first in nurseries and garden centers, and later as a senior magazine editor and radio personality for Garden Compass. Reidmuller has worked for Altman Plants (Vista, CA), the nation’s largest propagator of cacti and succulents, for over 25 years. Success with Succulents is organized into four sections: What are Cactuses? What are Succulents?, Cactuses and Succulents Outdoors, Cactuses and Succulents Indoors, and Featured Plants. The outdoor gardening guidelines are not region-specific, although most of the species recommended would not be cold hardy in our climate. There are a few outliers—of the plants featured, it is mostly select sedums that are cold tolerant. Arguably the most useful content for our region is in the section pertaining to indoor plants, and the authors cover topics including soil, moisture, pests, and propagation, to name a few. The featured plants section is also very useful, including information about plant family, origin, culture, cold hardiness (by degree in Fahrenheit), propagation method, bloom time, and a blurb about the plant’s appearance and behavior in different landscapes. All in all, Success with Succulents is a helpful and compact resource for readers who want to care for their existing plants or add a few more plant babies to their collection. Readers who have questions about how to care for their succulents and troubleshoot problems can contact the NYBG Plant Information Office for help. Guides about caring for succulents and cacti indoors have also been provided. 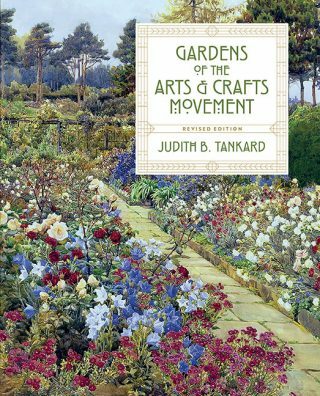 Gardens of the Arts & Crafts Movement is a beautiful book from acclaimed writer Judith B. Tankard. Tankard, who taught at the Landscape Institute of Harvard University for more than 20 years, is the author or coauthor of 10 books on landscape history (Beatrix Farrand: Private Gardens, Public Landscapes, Gertrude Jekyll at Munstead Wood), and recipient of awards from the Garden Writers Association and the American Horticultural Society. Gardens of the Arts & Crafts Movement is a revised edition of Tankard’s 2004 book titled Gardens of the Arts and Crafts Movement: Reality and Imagination. Tankard is a careful and thorough researcher, and this book shines as a well-crafted resource for readers who are interested in the Arts and Crafts movement in the United States and Great Britain. Beginning in Britain around the 1880s, before spreading to the United States, the Arts and Crafts movement placed value in traditional craftsmanship as a counter-culture reaction to the trend of industrialization. Simple forms, often from nature, were key design elements, and the movement included social reform interests that were also in keeping with the anti-industrial values of the aesthetic concerns. Margaret Neilson Armstrong (1867 – 1944) was a book designer, field collector, botanical illustrator, mystery writer, and more. She was born in 1867 in New York City to a wealthy and artistic family and raised along the Hudson River in Danskammer. Her father, Maitland Armstrong (1836 – 1918),[i] was a stained glass artist and diplomat. Her sister, Helen Maitland Armstrong (1869 – 1948),[ii] was a prominent stained glass artist, with whom she collaborated on a number of book design and illustration projects. Armstrong’s first book cover design was published in 1890 when she was 23 years old. When she began to work in book design, Armstrong didn’t reveal that she was a woman, using only her initials – “M. 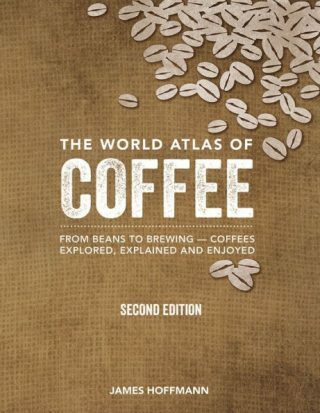 N. Armstrong.” However, in 1892 she won an award for her book design work at the World’s Colombia Exposition in Chicago. From there she went on to design approximately 314 book covers, and by 1895 she established her stylized signature “M. A.” Prior to that, she had not always signed her designs. 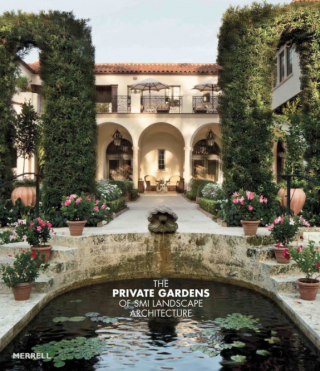 The Private Gardens of SMI Landscape Architecture (2018), edited by Jorge Sánchez, features 15 gardens in Palm Beach, Florida, designed or redesigned by the firm. Sánchez, the author of 2017’s The Making of Three Gardens, is a principle partner of SMI Landscape Architecture, a firm that works mostly in Florida and the Bahamas. 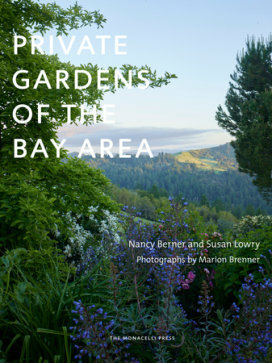 The book features lush color photos and general design plans for the gardens’ features. For the most part, the plants featured in the landscapes play backup for the hardscaping. Most useful for those in Florida or the Bahamas looking for a landscape design company, this book is nonetheless beautiful and interesting for readers who are curious about gardens of all kinds, and who are delighted to see 15 new examples. Not quite as charming as The Making of Three Gardens, it still offers new views and new landscapes to entice the reader. 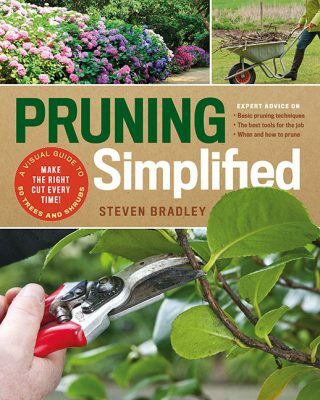 Pruning Simplified: A Step-by-Step Guide to 50 Popular Trees and Shrubs (2018) is a helpful new book from Steven Bradley for Timber Press. Bradley is a freelance garden writer and broadcaster who has over 20 years of experience teaching horticulture in colleges in England. Pruning Simplified, in addition to including some general introductory information, suggested equipment, and techniques, is primarily organized as a directory of plants. 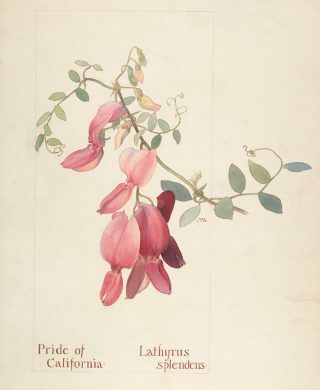 For the most part, the directory is organized by genus, with granularity provided when there are deciduous or evergreens species in the genus, different forms within the genus (climbers versus ramblers, for example), and different flowering times within the genus. Each plant group includes a general note about why the group might be planted, (for example, “Magnolia flowers are among the most beautiful of all blooms, and a tree laden with the spectacular flowers is an unforgettable sight”), information about why to prune, tips for pruning, when to prune, which species within the genus (or group) are pruned in the recommended manner, and which tools to use. In addition to these pointers, there is greater information about formative pruning, routine pruning, and remedial pruning. 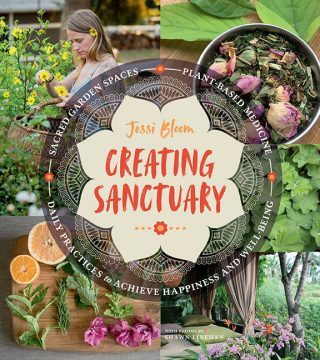 Creating Sanctuary: Sacred Garden Spaces, Plant-Based Medicine, and Daily Practices to Achieve Happiness and Well-Being by Jessi Bloom, with photographs by Shawn Linehan, is a well-designed book meant to teach readers the ways of self-care through the growing and use of plants. Bloom, the owner of N.W. Bloom EcoLogical Services, is based in the Pacific Northwest. She is an author and a landscape designer focusing on permaculture and sustainable landscape and garden design solutions. First, the good. There is no doubt that this book is beautiful. For readers wondering how to incorporate more plants into their lives, or even readers looking for ideas for Instagrammable tableaus, the book is worth a look. Book sections include Creating Sacred Spaces, Botanical Alchemy, and Nurturing Self: Healthy Body, Mind, and Soul. 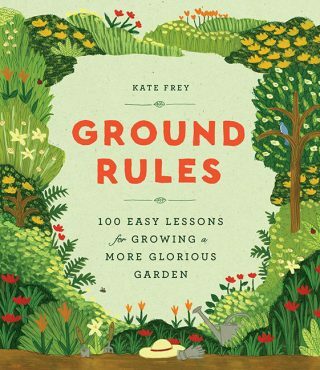 Ground Rules: 100 Easy Lessons for Growing a More Glorious Garden is a new title from Kate Frey for Timber Press. Frey, who is a consultant, educator, designer, and freelance writer specializing in sustainable gardens and small farms that encourage biodiversity, has distilled her years of gardening experience into 100 short and sweet points aspiring gardeners. I was a big fan of Frey’s 2016 The Bee-Friendly Garden, but Ground Rules, although a pretty book, lacks real substance. Although the 100 lessons are divided into sections, there is no table of contents, making readers wonder at the attempt at structure. On a positive note, I did enjoy the lessons about soil—perhaps this topic might be a future one for Frey to explore in more detail. All in all, a charming coffee table book, and a font of useful tips, perhaps just what a novice gardener is looking for in order to take the plunge and start a garden. City Green: Public Gardens of New York (2018) is a delight. Written by Jane Garmey with photographs by Mick Hales, City Green highlights iconic and more hidden gardens in the five boroughs. Garmey is the author of several books about gardens including Private Gardens of the Hudson Valley and Private Gardens of Connecticut. For readers who enjoy gardens and who live in and around New York, the book is a lovely escape. Readers will see old friends in new ways and learn new details about the history and purpose of more familiar spaces. Twenty-five gardens are featured, most of them in Manhattan and the Bronx, and most photographed at their peak seasonal interest. Three gardens at NYBG are treated—the Native Plant Garden, the Peggy Rockefeller Rose Garden, and the Enid A. Haupt Conservatory. Some readers will have likely visited all of the gardens in City Green and will be inspired to revisit their favorites. For those who have not made it to all 25 featured gardens, the book represents a very achievable list of gardens to visit in the coming year. 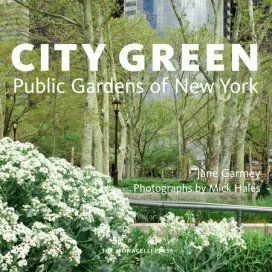 As the holiday season approaches, this book would make a very nice holiday gift for someone who loves gardens and loves New York.